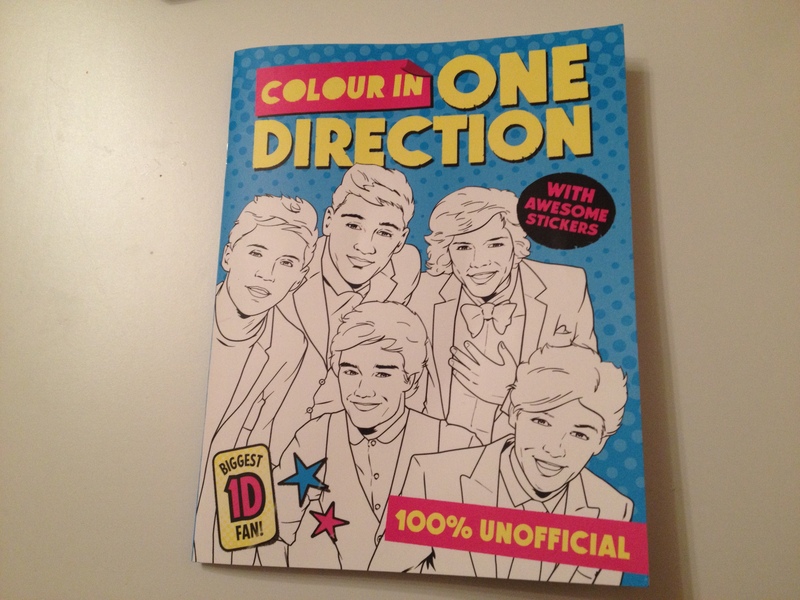 I’m not too sure how I feel about these new ‘adult’ colouring in books that seem to be everywhere. I was in Sainsbury’s last night and they had a whole stand dedicated to them. But it reminded me of one of the hilarious joke presents my husband got me last year for Christmas (which I actually loved.) 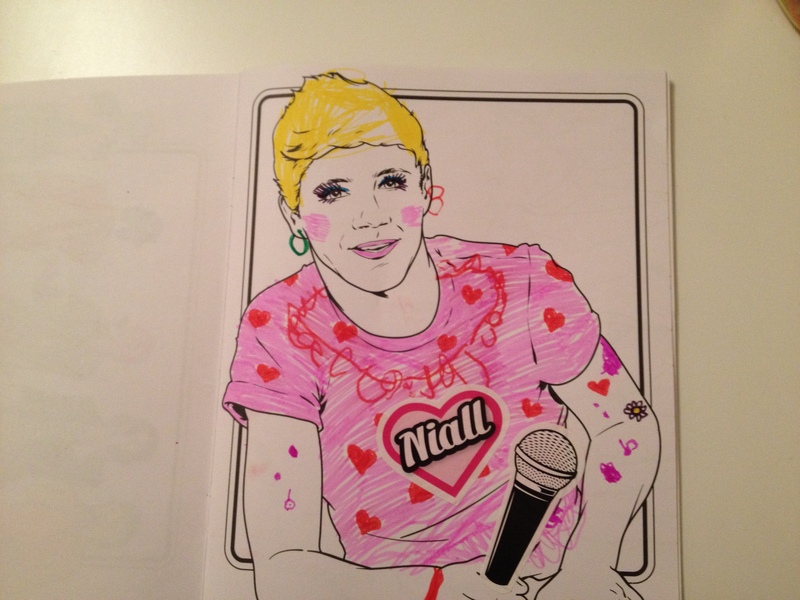 It was a One Direction colouring in book. I especially like the fact it’s 100% unofficial. The creativity. The use of colour. The staying within the lines (mostly). The green neck and blue and orange face. He’s truly a dreamboat. Of course, being me, I had to get in on the action, so I helped her out with the next one. 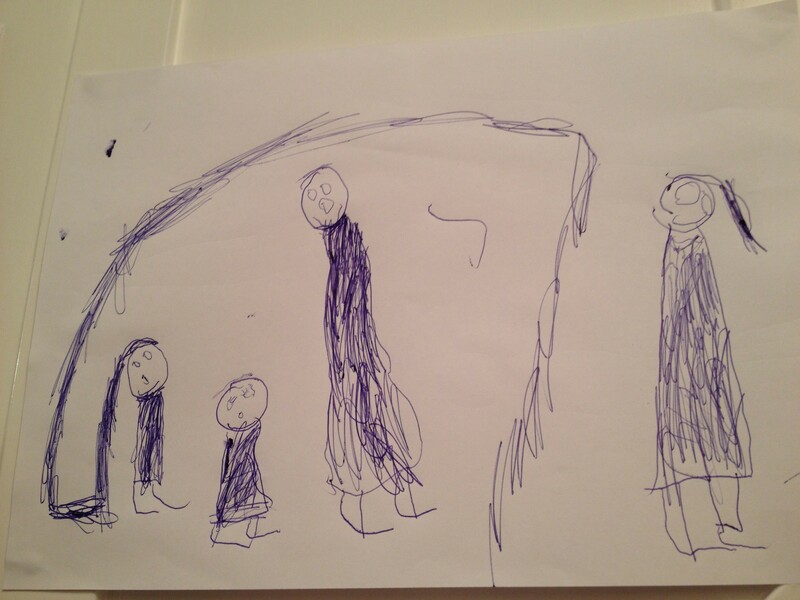 I did the two on the left, she did the other three. Having not coloured in for a while, I can confirm it does have stress-relieving properties. 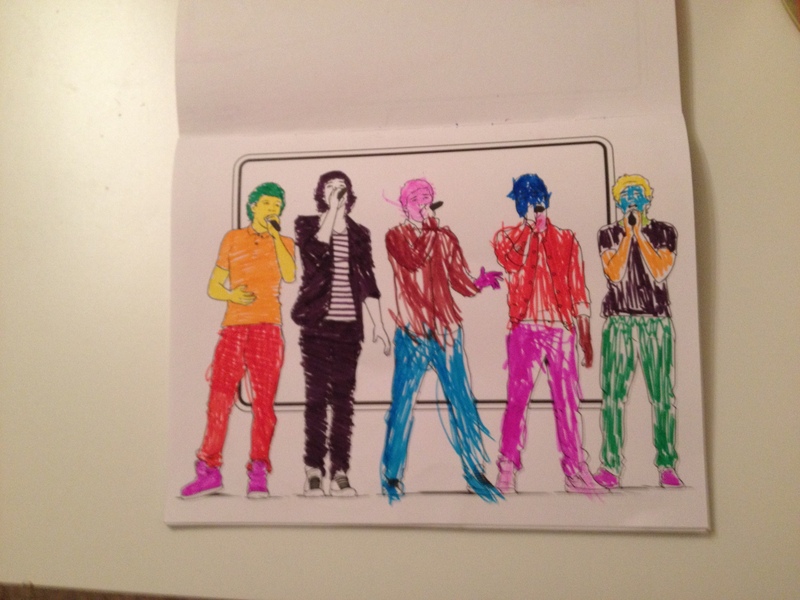 It’s also a real giggle, especially if you can colour boys in with green hair. And an immense laugh if your innocent child names them, (from right to left), Smudgy, Cludgy, Poo-poo, Blackie, and… Cliffy. Amazing. Then we found the stickers in the middle of the book, and added a couple of those, and then stuck the rest all over a picture of Zayn. But he doesn’t deserve a photo here because he’s left the band, the traitor. So yeah, adult colouring in gets the thumbs up from me, especially if you’ve got a hilarious pre-schooler helping. Do you ever hear a piece of news about someone you admire but don’t know and you’re SO happy for them, like they’re your best mate or a family member? Well, that just happened to me when I read the news that the artist and children’s book writer Oliver Jeffers and his wife Suzanne have just had a baby boy, called Harland. This is a man who understands children. His books are about friendships, loss, adventure, not being afraid to stand out, and the general ridiculousness of life. His illustrations are beautiful, and instantly recognisable. AND he grew up in Belfast. You can probably tell I’m a huge fan. If you’re not reading his books to your wee ones, you should be. That is one lucky kid right there – just imagine the bedtime stories he’s going to enjoy. Cue us nearly wetting ourselves laughing… We’d forgotten she can’t spell. And on top of that, there was no horse. Oh Calpol, how do I love thee, let me count the ways. After two nights of pretty much NO sleep due to a baby with a temperature veering between 38.5 and 40, I frickin’ LOVE Calpol. I admit it, I’m a complete luddite. I know how to use a computer, but when things start going wrong, I’m definitely from the camp of turn it off, and turn it on again to try and fix things. 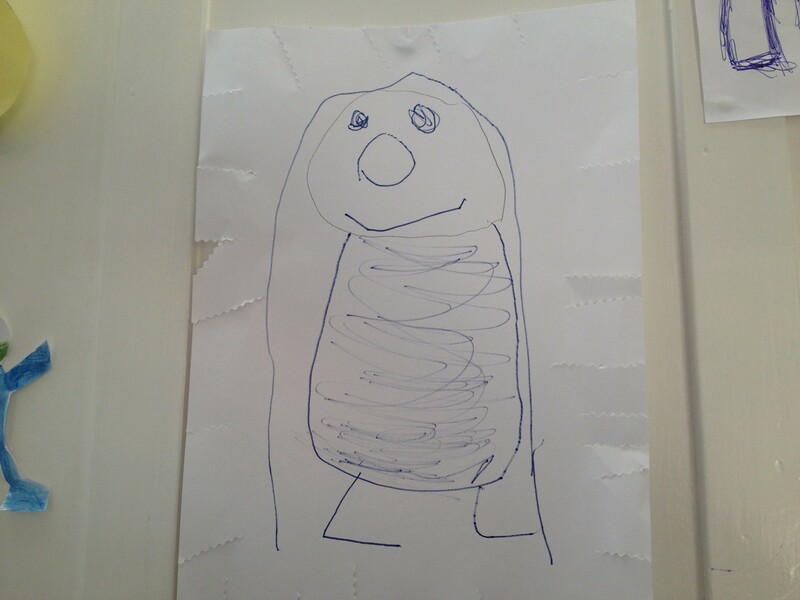 You may have noticed that I have some upside down pictures on this blog. It’s doing my head in – I take photos with my iPhone, and if I take them portrait style, I have to edit them to sit the ‘right way up’ on this blog. BUT. If they’re edited to sit the right way on the desktop site, they’re the wrong way round on the mobile site. I thought I found the solution – just take them landscape, all the time. But oh no. That was working until I uploaded a post from my phone – cue upside down pictures on the desktop site. I’ve researched to try and find a solution, but I’m not techy enough to fix it right now, and my host is in the States and requires a phone call to try and sort things out. So please bear with me until I find a fix. If you’re out there at all. I’m not a computer expert and I’m still finding my way with this whole thing. But I am trying. 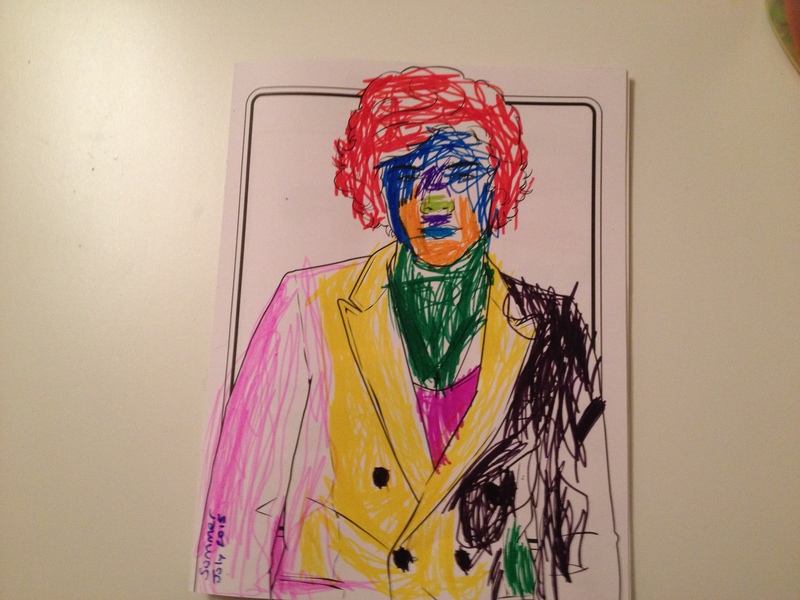 Check out this picture my daughter drew of me. It’s amazing. She’s obviously a complete genius. It’s like looking in a mirror. This is the sight that greets me nearly every time I walk into one of our two loos. 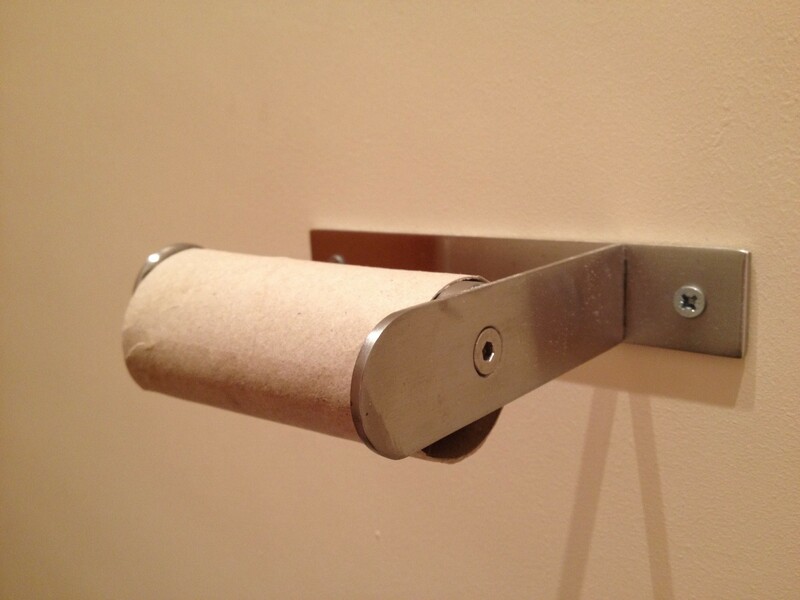 It’s not like we have loo roll holders that are fiddly to change, they’re literally slide off, slide on. And yet somehow this task is too difficult for certain other members of our household.